“Broadband everywhere” could leave communications service providers (CSPs), such as mobile carriers, nowhere. Now that most users are broadband-connected, providers such as Google, Netflix, Facebook, and more can provide over-the-top (OTT) services–video, voice and video calls, and text messaging over the Internet, often for free–that consumers used to pay CSPs to provide. 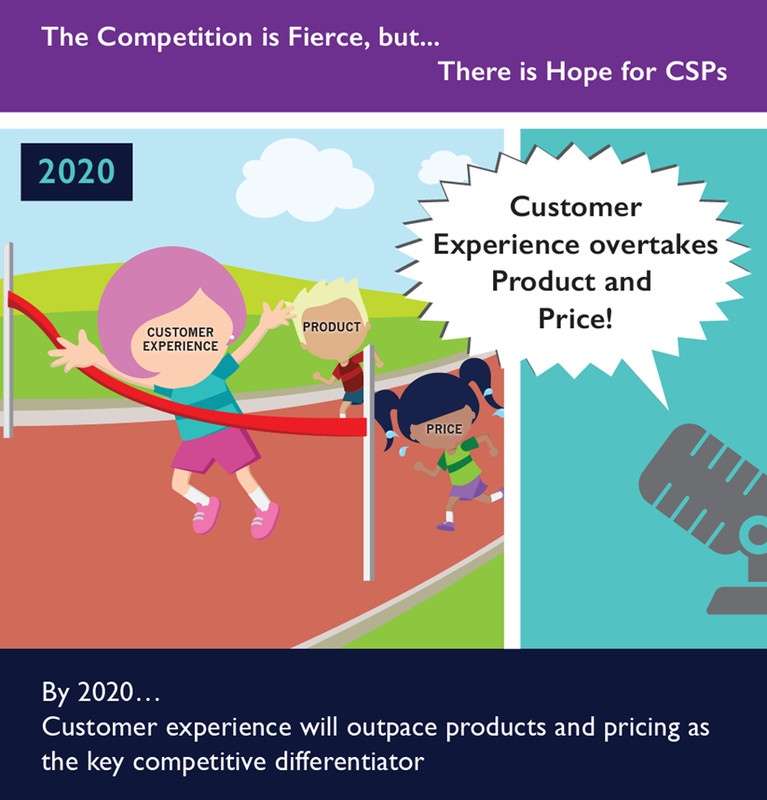 The good news for CSPs is that by delivering great customer experiences, they can still win. The bad news: CSPs cannot capitalize because, as a group, they are delivering poor customer experiences. Through a series of communications, Jeff Cotrupe, Stratecast, and IBM show how by combining data from customer satisfaction surveys and social media with data about subscriber experiences with specific services, CSPs can retain subscribers–and create and sell more of the services those subscribers truly want. The theme of the campaign is How User Behavior Data Can Help CSPs Prosper in an OTT Era. Communications include a webcast; a white paper; a blog post; and an infographic, a small portion of which is shown here.